This month's deadly bombing of a medical school's graduation ceremony in Somalia will likely reduce the popularity of the country's main Islamist insurgency, despite the group's denial of involvement, say analysts. A civilian uprising against Al-Shabab seems to be under way, with street demonstrations in Mogadishu on 7 December, and in camps for the internally displaced (IDPs) on 8 December. On both occasions the group's black flag was burned. The attack on 3 December, suspected to have been undertaken by a suicide bomber, killed 23 people, including three ministers in the Transitional Federal Government, parents, students, professors and journalists. Although Al-Shabab is being blamed for the bombing, the group’s spokesman in Mogadishu has denied any responsibility. Abdi Mahad, a civil society activist who organized an anti-Al-Shabab demonstration on 7 December, told IRIN the attack was "a wake-up call for all. Up to that point, everybody assumed they were fighting foreigners and the government, but we realized on Thursday [3 December] that they are at war with us; it was the last straw. "They are killing our best and brightest. They are the enemy." Mahad, who is a member of a youth movement in Mogadishu, said his group was planning more demonstrations against Al-Shabab, including one by students. "We will do whatever it takes to stand up to them," he said. Mogadishu resident Ibado Abdi Mohamed did not take part in a demonstration but, on 7 December, was among hundreds of Somalis who took to the streets in protest against Al-Shabab. "I used to be afraid but no more; I am a mother and we have watched for far too long our children being killed senselessly," she said. Mohamed said what Al-Shabab was doing had nothing to do with Islam and accused the group of being anti-Islamic. "Islam teaches us compassion and kindness," she said. "What they did [on 3 December] and are doing is cruel and inhuman." Paula Roque, a Horn of Africa analyst with the South Africa-based Institute of Security Studies (ISS), told IRIN the bombing was bound to lead to a loss of support for the group, particularly in Mogadishu. "I think they overreached," Roque said. "It was a big mistake on their part. It is one thing to target AMISOM [African Union Mission in Somalia] and government structures; it is quite another to target innocent civilians." The population will see the bombing "as senseless killings, which is what terrorists do”, she said, adding that Al-Shabab members were no longer seen as "uniting Somali nationalism and Islam". Hawa Siyaad, a mother of six, left her small-scale fuel business on 3 December to attend the graduation ceremony with her eldest son. "I was happy to participate, because I knew Mohamed [her son] will be going through the same next year," she said. “Mohamed was in his fifth year of medical school, he was there to help with the ceremony. One minute, he was there, the next minute he was gone. He did not do anything wrong. Why would anyone kill innocent students?" She said those behind the killings were "people who do not want to see anything good in Somalia; that day they shattered many dreams and hopes, including mine". Al-Shabab recently captured several strategic towns near Mogadishu and is in control of most of southern Somalia up to the Kenyan border. "In my opinion they are seen as occupiers in almost all areas they control, and the attack on Thursday [3 December] will only add to their isolation," said one observer. "I think the demonstration was a clear signal to them that people have had enough of their violence and will not tolerate it any more." He said it was not clear whether the current anti-Al-Shabab feelings marked "the beginning of the end for them or just a small hiccup", adding, however, "if I was them [Al-Shabab] I would really be worried". The government now needs to organize and take the group on militarily, he said. "The people seem to be ready; it is now up to the government to show leadership and take the initiative." 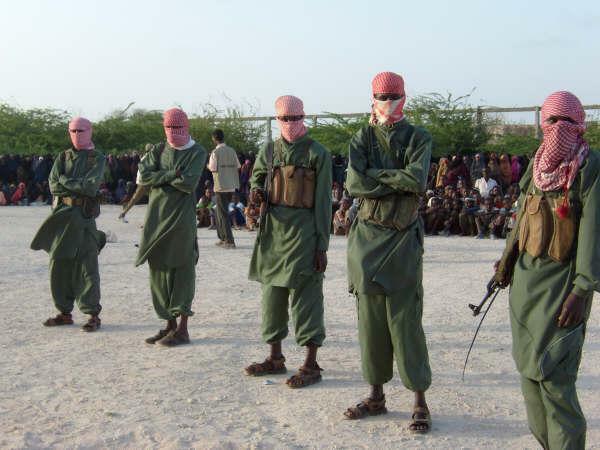 Al-Shabab is a militant Islamist group that was part of the Union of Islamic Courts and gained prominence during the Ethiopian military presence between 2006 and early 2008. The prolonged conflict in the country has displaced more than 1.5 million people, while another 3.6 million need assistance.